For some crazy reason the boys have always loved the TV show "The Power Rangers". I'd like to say I understand because I used to watch it as a child but I am kind of embarrassed I even just shared that tidbit with you! Now watching it with them I think that the writers definitely were doing some kind of drugs while creating some of the bad guys in this! "In 2013, Power Rangers will celebrate 20 years of global success as the #1 kids live action series." Lionsgate released the newest Power Ranger series on June 11th, 2013. Power Rangers Super Samurai: Secret of the Red Ranger – Volume 4 is now available on on DVD and Digital Download. 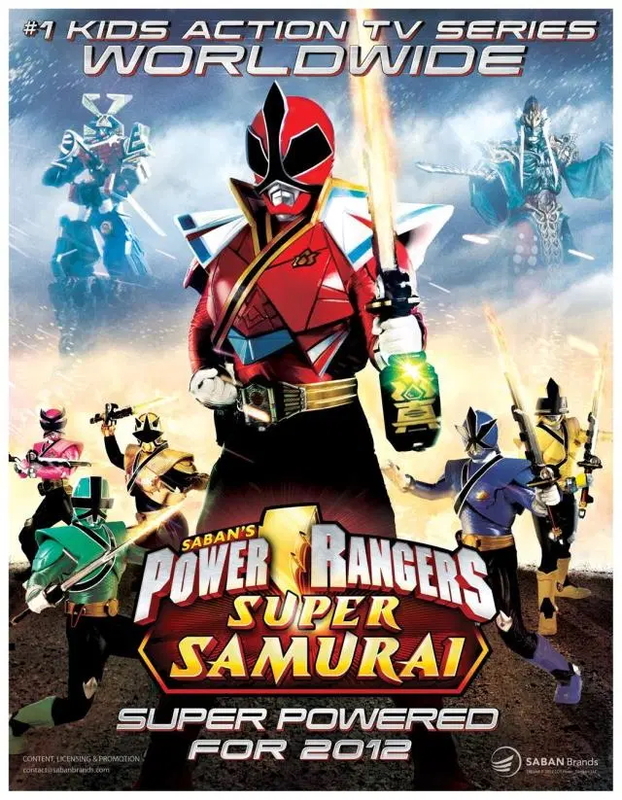 The synopsis says "Power Rangers Super Samurai powers-up with the Rangers continuing to wage their battle against the evil Master Xandred, who has now joined forces with a new super villain, the malevolent Serrator. The seven Samurai Rangers© learn to harness the power of the legendary Black Box to form all new Megazord combinations and become Super Samurai! Through the power of the Black Box, the Samurai Rangers are able to tap into the power of their ancestors and unlock Shogun Mode to help protect humanity from the Netherworld's vile villains. The Black box also allows the Super Samurai to morph into Super Mega Mode inside the Megazord cockpit, which enhances their powers to aid in the battle against super monsters. In addition, a new super weapon, the Bullzooka, will make its first appearance, harnessing some serious laser power to help in the battle to stop the evil Serrator. And with each new adventure, the day gets closer and closer when Jayden, the "Red Samurai Ranger"'s secret will be revealed." Not only did I know that Dane was going to have to watch this the minute he noticed it arrived but once it did Declan did too of course. Dane has his little brother copying everything off of him and this is one of those movies that the two of them love to play alongside the rangers fighting all the bad guys! Recommendation: Dane and Declan both really enjoyed it and have both been acting out different Power Ranger scenarios around the house. Thank you Lionsgate for forcing me to have to watch this two decades later again! Boys do love Power Rangers! I babysat a kid and all he wanted to do was watch this show. It was crazy, I thanked God for the fast forward button while I was watching him.